Radically different in its construction from a traditional haze machine, this unit can quickly and smoothly develop a pre-determined level of haze and maintain it consistently. Control is achieved by 2-channel DMX or via the included remote control/timer. 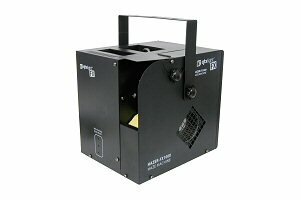 This product has been specifically developed for professional installations and high-end DJ applications.